The leaky gut mice – knockouts for the gene encoding junctional adhesion molecule A (JAM-A) — were created by Charles Parkos and Asma Nusrat, previously at Emory and now at the University of Michigan. JAM-A deficient mice have more bacteria in the liver, and they are more susceptible than regular mice to a chemical treatment that induces intestinal inflammation. However, they do not develop spontaneous intestinal or liver disease. 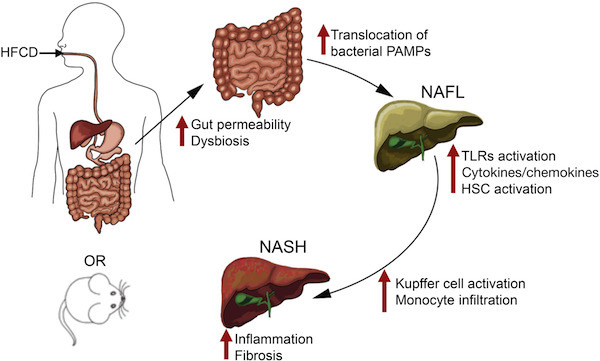 In these mice, a high-fat/sugar/cholesterol diet induces a change in the types of intestinal bacteria: less Bacteroidetes and more Firmicutes + Proteobacteria (a shift previously associated with obesity). In addition: less Akkermansia, which was highlighted as contributing to intestinal healing in this 2016 paper from pathologist Andrew Neish. 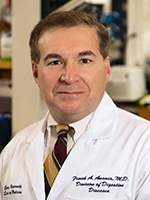 Increased gut permeability also appears in recent research on probiotics and post-menopausal bone loss from endocrinologist/osteoimmunologist Roberto Pacifici.